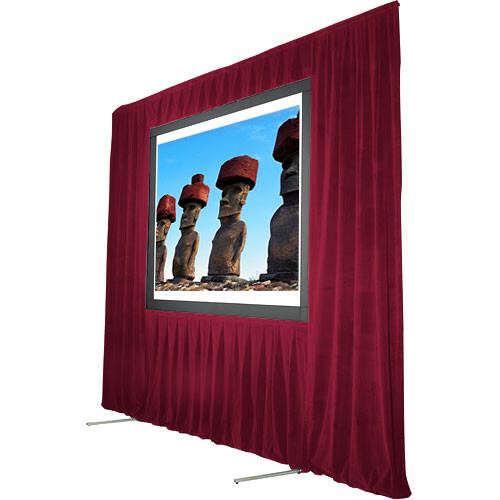 The Screen Works Trim Kit for the Stager's Choice 8'6"x14' Projection Screen - Burgundy finishes off your presentation with a flair. This system provides everything you need to create an elegant and stylish border around your screen. Trim kits eliminate distractions from side and background items by blocking off unwanted and intrusive lights, doorways and stagehands.